Bring back a full head of hair in less than an hour! For the first time you can have the same real, non-surgical hair loss solution used by Hollywood stars, on and off the screen. Your hair frames your face, suggesting youthfulness, health and vitality. Now you can have a full head of natural hair and the style you want after your very first session. Virtual Reality is Hollywood endorsed and recognized by the international media, and is available in the Richmond, Virginia area exclusively at Advance Techniques. Virtual Reality, unlike a traditional hairpiece, becomes part of you — not something you wear. The technique involves applying an invisible, non surgical derma-lens, like a contact lens into which human hair is inserted, compatible in color, density, curl pattern, texture, etc. The result is the Virtual Reality cosmetic miracle hair restoration that revives your youthful appearance and looks totally natural. The secret of the Virtual Reality Men’s Hair Replacement technology lies in it’s proprietary “Dermal Lens” base. 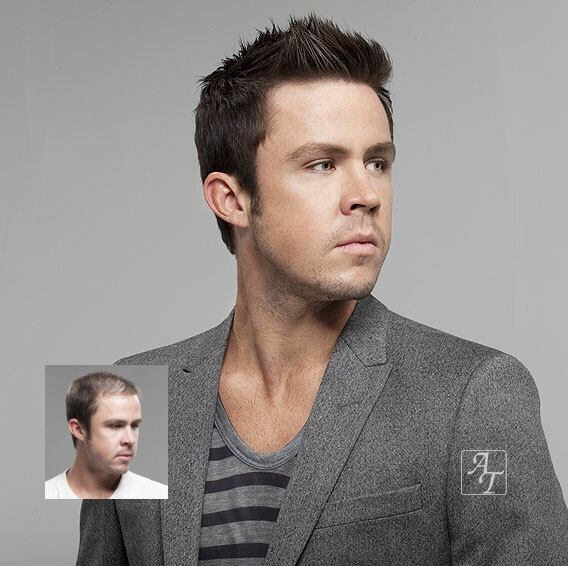 The Virtual Reality base is a thin, flexible, second skin like surface created with with natural hair growth patterns using 100% natural human hair that is perfectly matched to your own growing hair. It is literally undetectable to the human touch. And there is essentially no home maintenance other than washing, conditioning and normal styling, just like your own natural growing hair. 100% Euro Texture Human Hair for the most natural appearance and touch. Virtual Reality has been featured on national TV and media and on local Richmond area television. It is the choice of athletes, stars, and Hollywood directors and stylists. Live life the way you want, without embarrassment, without being self-conscious, with a full head of hair again. Take the first step to a new you. 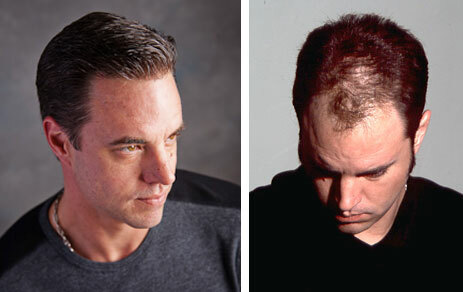 Schedule your free, private and confidential hair loss evaluation today. Just click on the link below or call (804) 323-4040.